The type of food I order in restaurants or for takeaway is not the type of cooking I do everyday at home. I suspect most folks are that way inclined. Why go to the effort of slaving for hours over a monkfish curry (not to mention the expense) when Khushi’s up the road will do that for me and include a hot fresh garlic naan bread? What I’m getting it is, restaurant and takeaway food, for me, is the kind of stuff I either cant cook or cannae be bothered cooking. This is never more true than when it comes to Japanese cuisine. Sushi, Tempura prawns, pickled plums, I love it all but I can’t make any of it HALF as good as they do in the restaurants. That whole ‘make-your-own-sushi-at-home’ is just nonsense, and where would I even start with pickling vegetables? That said, there is one Japanese dish which was crying out for a home-spun version, if only to save my bank balance from the threat of Ichiban and OKO, and that my friends, is Katsu Curry *cue angelic choir music*. 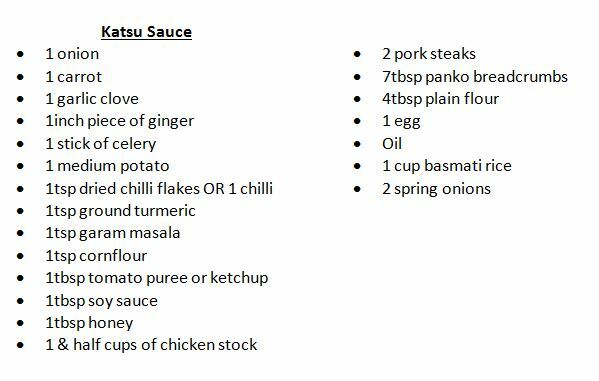 My last meal would be Katsu Curry but thankfully now that I’ve perfected the recipe at home, I wouldn’t need to worry about having to leave the house for said meal. Make it Veggie: Replace the pork with thick slices of sweet potato and/or butternut squash. Drizzle the sliced vegetables with a little oil & roast in the oven at 180C for 15-20 minutes. 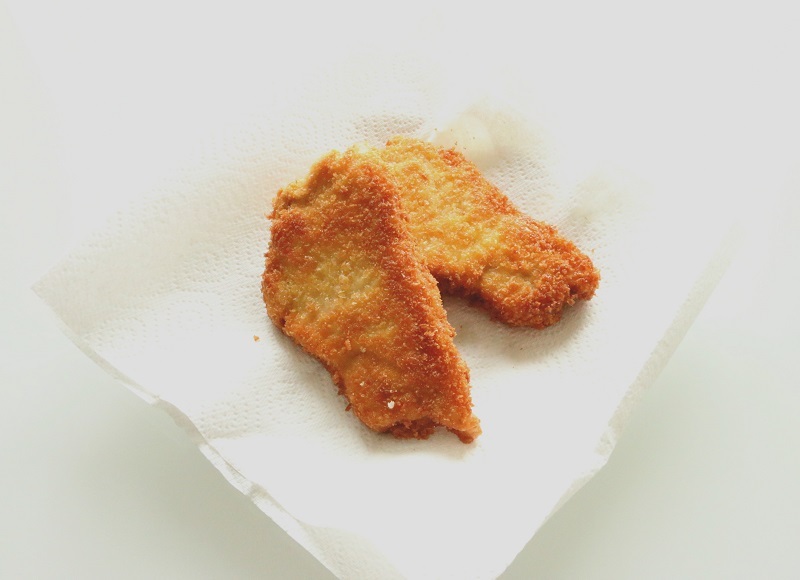 Leave to cool slightly before coating in the flour, egg & panko and frying until crisp (as described below). Start with the sauce, which you can make in advance and store in the fridge or freezer until ready to use. Roughly chop the onions, carrot, garlic, potato, chilli, ginger and garlic, and add to a pot with 1tbsp oil oil. 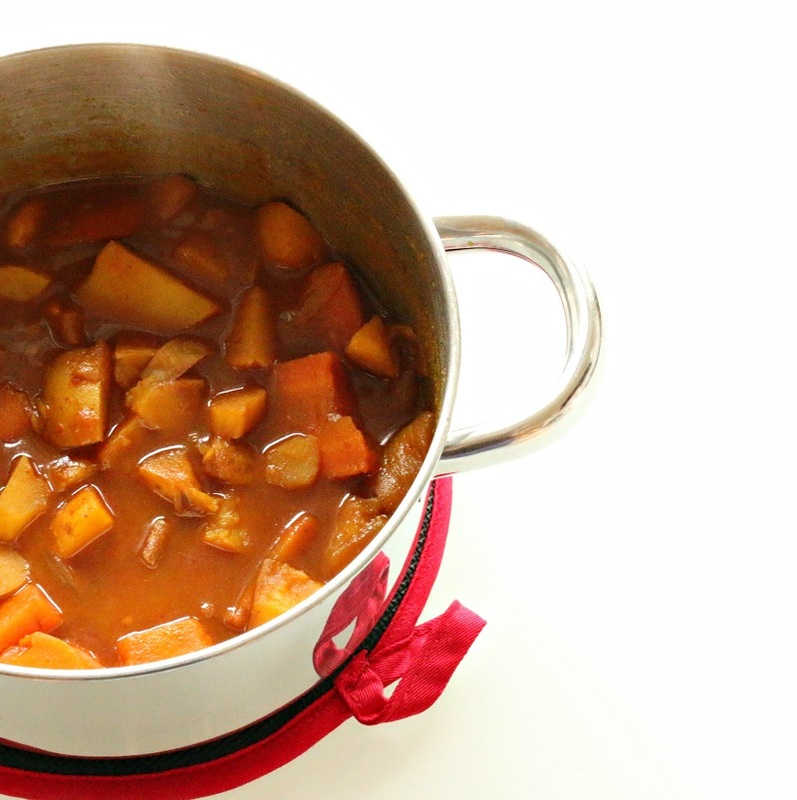 Cook the vegetables over a low-medium heat, with the lid on, for 10 minutes until slightly softened. Add the remaining katsu sauce ingredients, bring to a boiling point then reduce to simmer. Cook with the lid on for 20 minutes. Once the sauce is cooked, blitz in a blender until smooth and pour back into the pot. Taste for seasoning: I always find it needs a little more soy sauce (rather than salt). Keep the sauce warm over a low heat while you prepare the pork & rice. 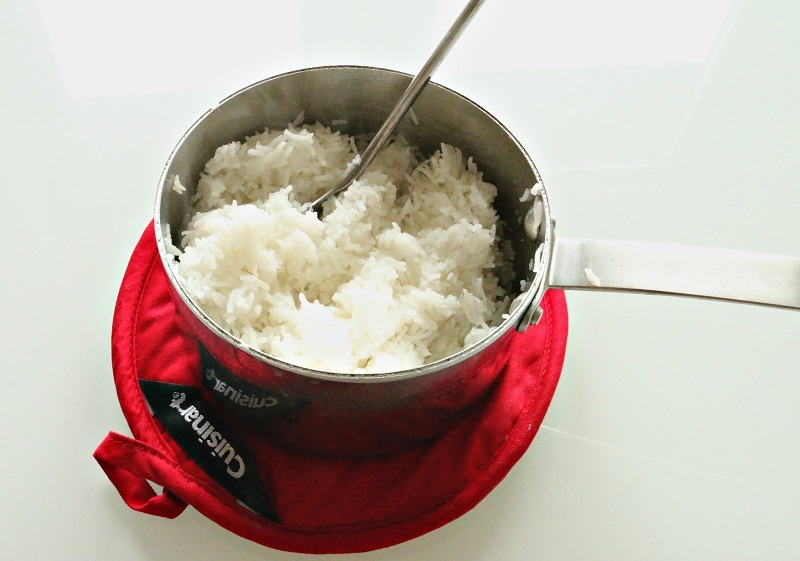 To make fluffy rice, measure out 1 cup of basmati rice into a sieve and rinse under cold running water until the water runs clear. Add the rinsed rice to a pot with 2 & half cups of cold water. Place the pot over a high heat and as soon as the water starts to bubble, whack the heat down as low as it will go & clamp the lid on. Leave the rice to cook for 10 minutes. Do not lift the lid, do not stir the rice. Leave it well alone (I promise you, it wont burn). Once cooked, remove the rice from the heat and fluff up the grains with a fork. Clamp the lid back on & keep warm until ready to serve. Meanwhile, while the rice is cooking, add oil to a large frying pan or wok (enough for shallow frying – approx 1cm of oil) and place over a low-medium heat. 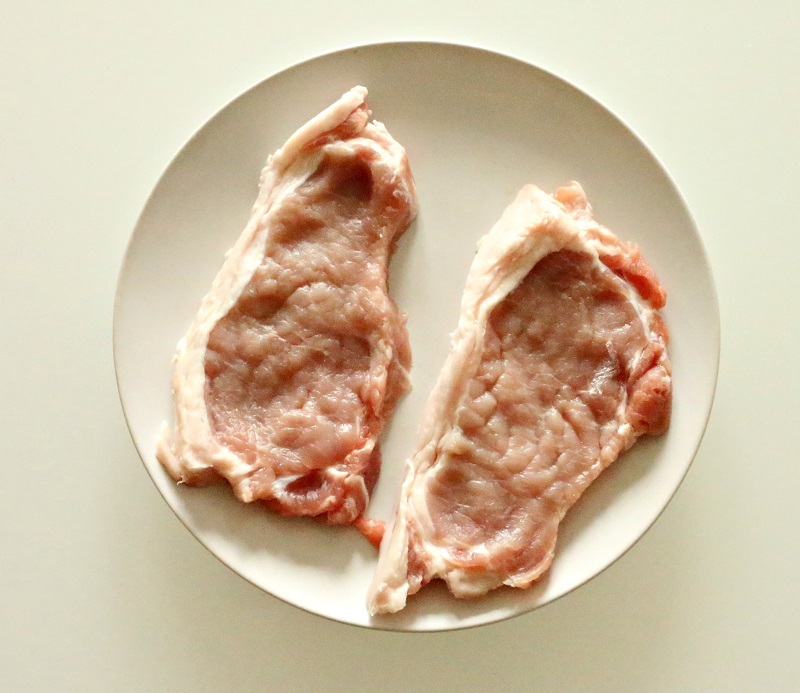 Lay the pork steaks onto a chopping board, season lightly with salt & pepper on each side and cover with cling film. Bash the pork steaks with your fists, rolling pin or whatever implement you have to hand. The thinner the steaks, the quicker they will take to cook. Feel free to remove some of the white rind of fat if you wish, although personally I think this is the best part. 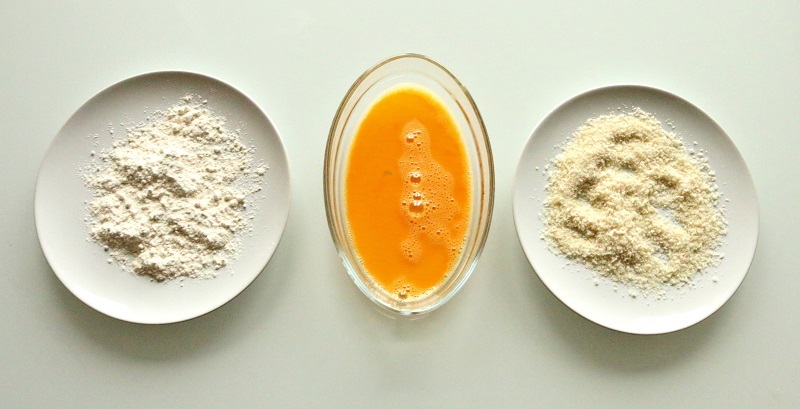 Next, line up 3 bowls: 1 containing a beaten egg, 1 containing 4tbsp plain flour and 1 containing 7tbsp panko breadcrumbs. 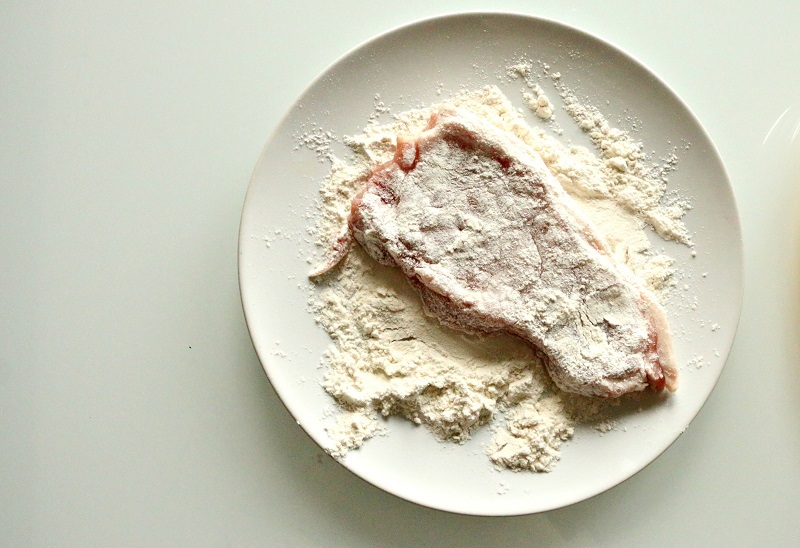 Dip the pork steaks into the flour and coat on both sides. Then dip the pork steaks into the beaten egg, and coat on both sides. 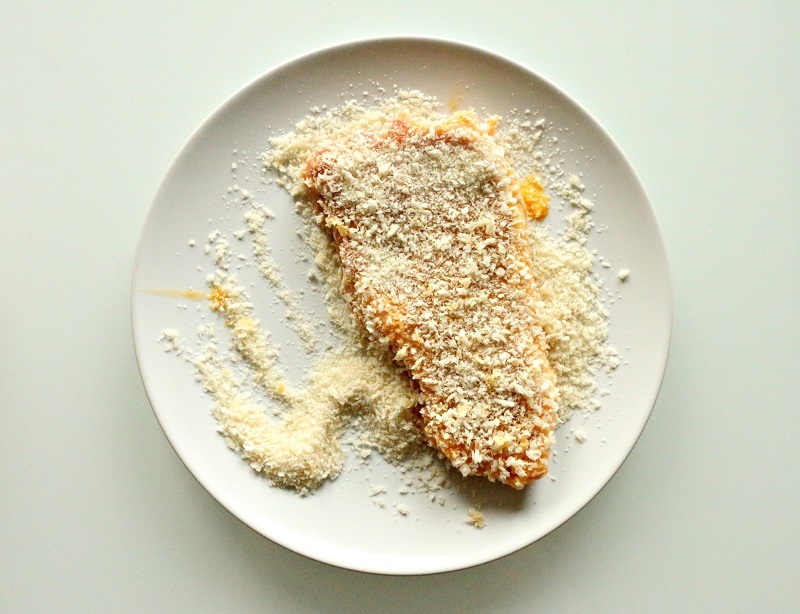 Finally, dip the eggy pork steaks into panko breadcrumbs until coated on both sides. Check the oil in the pan is hot enough by tossing in a small piece of bread: if it browns and turns crispy in under a minute, the oil is ready for cooking. 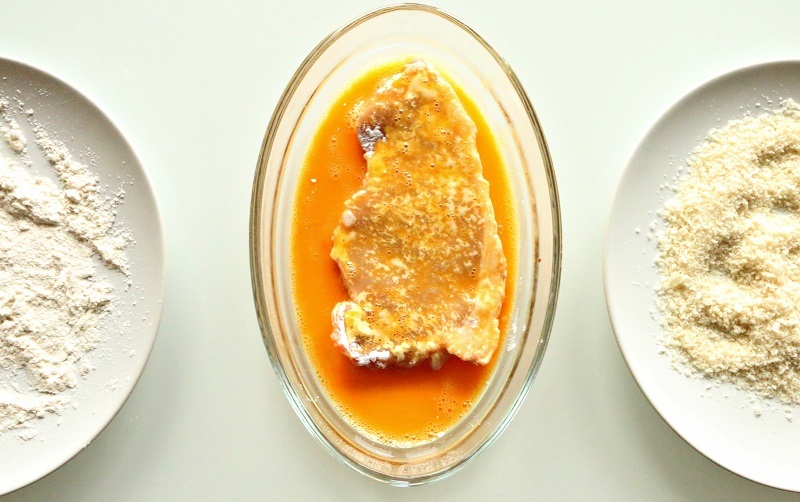 Lay the pork steaks into the pan (together or one at a time – depending on the size of the pan) and cook until golden brown on both sides: this should take approx 3 minutes each side. Once cooked, lay the pork onto kitchen paper to remove excess oil. Leave the pork to rest for 1-2 minutes before slicing into long thin strips. 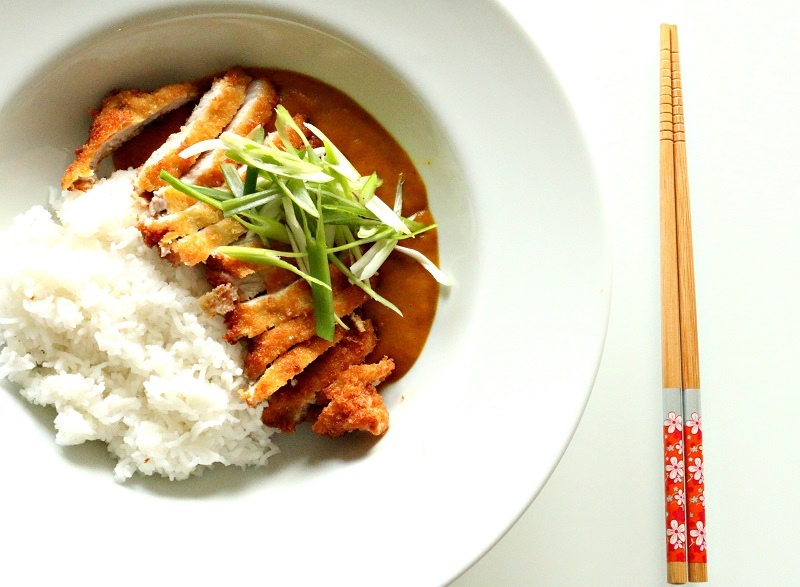 In a bowl, add a mound of rice, a couple ladles of katsu sauce and top with strips of crispy pork. Garnish with a little sliced spring onion if you like that kind of thing.